David Finfrock, D-FW’s dean of meteorologists, is getting a 40-year salute. 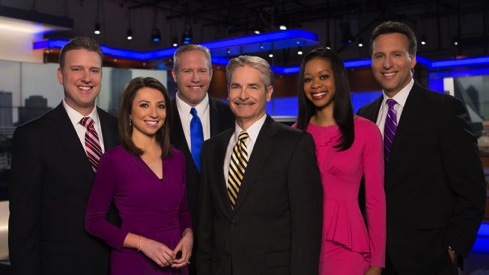 NBC5’s half-hour 40 Years of Finfrock, is set for Saturday, April 30th at 6:30 p.m.
Rick Mitchell, the station’s featured 10 p.m. meteorologist since Finfrock signed his intended last contract in August 2012, will be hosting while fellow NBC5 weathercasters Remeisha Shade, Grant Johnston, Samantha Davies and Brian James are contributing. Meteorologists Nestor Flecha and Milmar Ramirez of NBC Universal-owned Telemundo 39 also will join in. Finfrock joined NBC5 in 1975 after being hand-picked by the late, legendary Harold Taft. Together they’ve been the station’s only official chief meteorologists since NBC5 signed on as WBAP-TV in 1948. Finfrock’s current contract runs until May 2018, when he’ll turn 65. He has said he plans to retire at that point.